An eagle is 2 strokes under par, which would be a hole-in-one on a par 3. An eagle, which simply means shooting two strokes under par on one hole, is not a common score for most golfers. Even for professionals, eagles don't come around that often. In order to make an eagle, you have to have a combination of both luck and skill. It's difficult, but it is possible. An eagle means that you shot two strokes below par on one hole. For example, if you holed your ball in three shots on a par-5, that's considered an eagle. Another eagle would be if you holed your ball in two shots on a par-4. A hole-in-one on a par-3 is also considered an eagle but is almost always referred to as a hole-in-one. The term "eagle" was originated from the term "birdie," which means shooting one stroke below par on a hole. In H.B. Martin's book, "Fifty Years of American Golf," an account of a foursome match played at the Atlantic City Country Club was described. After a well-played hole, one of the players said, "That was a bird of a shot." Shooting one below par was then referred to as a birdie, and soon after, an eagle was recognized as shooting one better than a birdie. There are several ways to get that elusive eagle, a score that most golfers won't shoot in their lifetimes. Eagles are most commonly made on par-5s. The traditional eagle on a par-5 starts with a long drive and then a second shot that carries the ball to the green. From there, you'll need to make the putt on the third shot. You can also chip in or hole the ball from the fairway on your third shot to make an eagle. Par-4s present the biggest challenge for a golfer seeking an eagle. You'll need to hole your second shot, which is usually not close to the green. It's uncommon for golfers to hit the ball onto the green on their tee shot, though it can be accomplised on a short par-4. For an eagle on a par-3, the formula is simple: hole the ball in one stroke. A double eagle is a term for when you shoot three shots below par on one hole. The score is extremely uncommon. 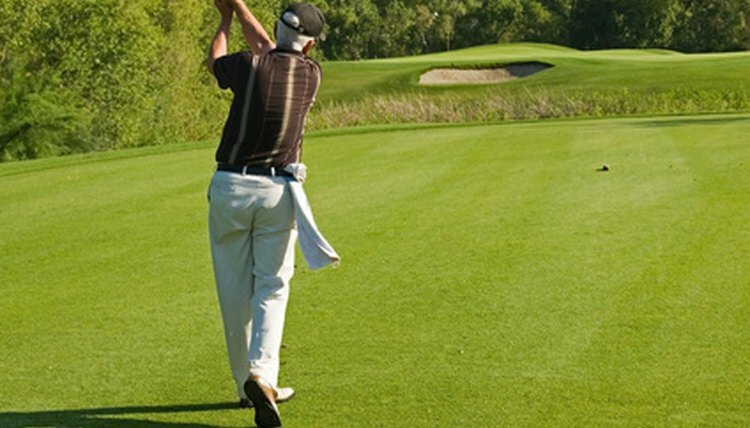 To accomplish it, you'll need to make a hole-in-one on a par-4 or hole your second shot on a par-5. It's also referred to as an albatross. What Are the Odds of the Average Golfer Hitting a Hole in One? What is a Good Golf Score?